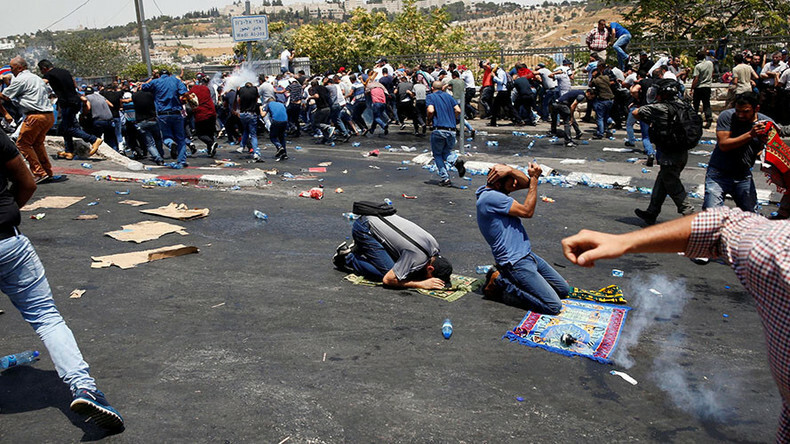 Three Palestinians have been fatally shot amid mass protests in Jerusalem, according to the Palestinian Health Ministry. A 17-year-old was killed in Ras al-Amud, outside the Old City, after being shot by a "settler," according to the Palestinian Authority's official Wafa news agency. However, no shooter has been identified. The teen was identified by the Health Ministry as Muhammad Mahmoud Sharaf, from the east Jerusalem neighborhood of Silwan. A second person, who was reportedly shot in the A-Tur area of East Jerusalem, died of his injuries at Makassed Hospital. The third death occurred in Abu Dis in the West Bank, near Jerusalem, according to the ministry, as cited by the Times of Israel. The Palestinian Red Crescent has put the number of those injured in East Jerusalem and the West Bank at some 140 people. The rallies followed Muslim Friday prayers. 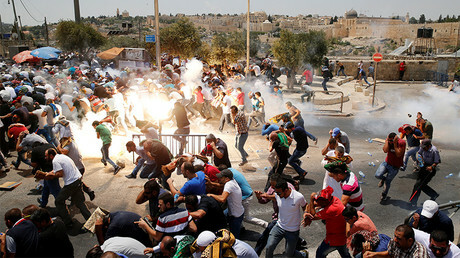 Israeli police used live ammunition, tear gas and rubber-coated bullets against the demonstrators. The grand mufti of Jerusalem and the heads of Palestinian factions have discussed the tensions. Mufti Muhammad Hussein told Haaretz: "We will continue to struggle against the metal detectors until the Israeli government takes them out of there. I call on the Muslim world to join the struggle to preserve [the Temple Mount] as an exclusive place for Islam." Earlier on Friday, 3,000 officers were deployed around the Old City to avoid riots, according to AP.